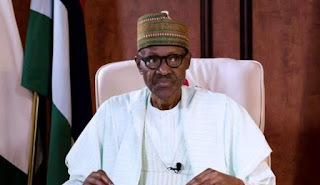 In a tribute personally signed by him on Sunday in Abuja, President Buhari said: �I received the news of the passing away of Justice Mamman Nasir with profound grief. �I knew he was in poor health and had in fact been taken to Federal Medical Centre, Katsina, but the news came nonetheless as a great shock. �Justice Mamman Nasir was, for most of his adult life, a public servant of outstanding talent. He said: �During the long period of military rule, he was in the main part of the Federal Judiciary culminating in his being appointed President of the Court of Appeal from which post he retired voluntarily and honourably in 1992. �Several public service duties were thrust on him notably the Constitutional Review Commission which he led alongside Justice Karibi Whyte. �Their handiwork is the country�s present Constitution. �The late Galadima was one of the most astute public figures. �He was ever ready to attend to any conciliatory assignments and had innumerable solutions to knotty problems. �He seldom lost his temper and always looked at the positive side of things. �I had the privilege and honour to work alongside him in running Gidauniyar Jihar Katsina, which due in part to his energetic contributions set the standard for state-sponsored self-help NGOs.